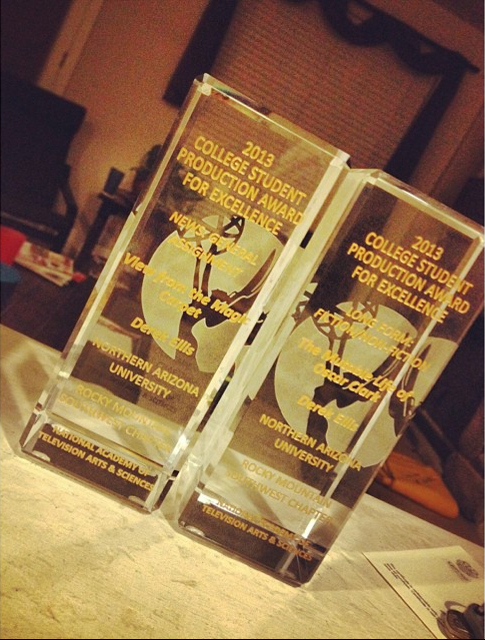 Please join me in congratulating my friend videographer Derek Ellis for winning two student Emmy Awards Friday night! Derek is a recent video production graduate of Northern Arizona University, now working freelance. Good goin’, Derek, and thanks for taking me along for the ride! *See Derek’s full 7-minute Views from the Flying Carpet video here.